Recovery We can provide you with Addiction Transitions Recovery Life Support. 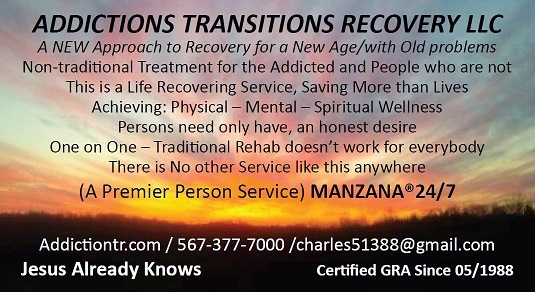 A NEW approach to recovery for a new age/with old problems Non-traditional Treatment for the addicted and people who are notClick here to visit our Additions Transactions Recovery website. Copyright � 2019 Premier#1 Personal Services Man Zana, LLC All rights reserved"